Gardening enthusiasts are being encouraged to test their horticultural knowledge against some of the county’s leading experts in a ‘Cumbria’s Master Gardeners’ contest being held at Muncaster Castle on the 1st of May at 1.15pm. Jason Haine, Head Gardener from Muncaster, will be joined on the experts team by Yvonne Cannon, the Head Gardener at Holker Hall, and Paul O’Neill, the former Radio Cumbria gardening reporter, to compete for the title of Cumbria’s Master Gardeners. People living in Cumbria who know the difference between a pansy and a petunia can also try their luck against the experts with the chance to clinch the prestigious title. Members of the public can either apply as part of a team of three or if you apply individually you will be included in a team with other entrants. To register to take part in the ‘Cumbria’s Master Gardeners’ contest contact Muncaster Castle directly on 01229-717614 or email info@muncaster.co.uk by Tuesday 28th April. Entrants must not currently be working as professional gardeners. Eric Robson, the presenter of Gardeners’ Question Time on Radio 4 will chair the contest and ask the tough gardening questions. Topics will include everything from flower names to gardening techniques. 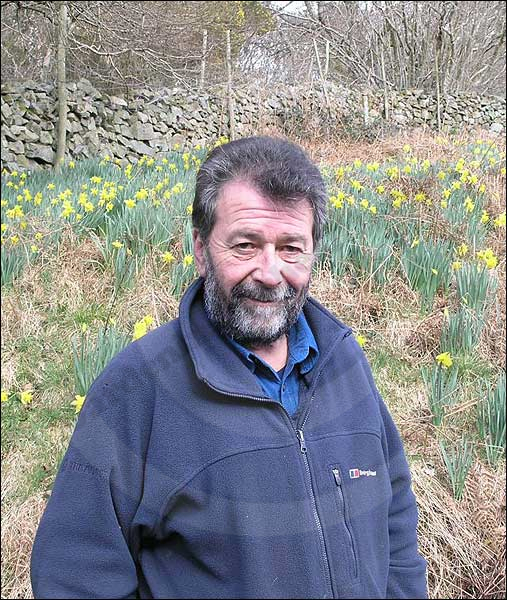 The questions will be set by Peter Howarth who trained at the Royal Horticultural Society Gardens at Wisley and is the President of ‘Cumbria in Bloom’. The team that answers the most questions correctly will be crowned ‘Cumbria’s Master Gardeners’ and will each receive a ticket to the Chelsea Flower Show together with dinner for two at The Pennington Hotel in Ravenglass. Mr Robson says: “We hope that green-fingered enthusiasts from around the county will rise to the challenge and take on the professionals. There are lots of very talented amateur gardeners in Cumbria so this is their chance to show off their knowledge. The contest is being staged as part of Muncaster’s first ‘Feast of Flowers’ event, which takes place during the spring Bank holiday weekend (1st-4th May). 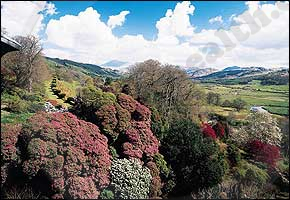 People will be able to let their senses dine on the spectacular and rare natural beauty of Muncaster’s gardens. As well as the beautiful Bluebell Bonanza and the marvellous and unique collection of rhododendrons, azaleas and camellias, there will also be ‘Cooking with Flowers’ demonstrations with local celebrity chef John Crouch and flower arranging demonstrations. In the wild setting of ancient woods and soaring mountains, there are many opportunities to explore the paths and walks. The Terrace, with its views over the Esk Valley towards Scafell Pike – England’s highest mountain, is an outstanding feature of the gardens. The gardens are open daily until the 31st of December 2009. 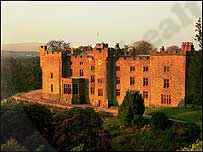 The full visitor season runs until the 1st of November 2009, when the Castle is open 6 days a week from 12pm to 4.30pm.